3. Compressors & Compressor Racks. What are they for? 4. Condensers employed in a cooling project. 6. How to pick an evaporator for a cooling system? All cooling projects, ranging from an AC to an avocado packing facility, need all 4 systems to carry out their functions. However, their dimensions, tech specs, and assembly must be outlined by a dedicated engineer. A fundamental component towards achieving the cooling cycle is the coolant. This is a chemical component whose properties allow for heat absorption from one body to another, thus lowering a body's temperature. Each cooling equipment plays with the coolant, turning it from a liquid state to a gas one, which results in heat absorption of food, chemical substances, etc., during this chemical process, releasing it. Why switch to a natural coolant-based system in your industry? Now, once the fundamentals of a cooling system are clear, it's time to describe the role they play in the primary industrial and commercial cooling equipment. Compressors & Compressor Racks. What are their roles in a cooling system? Let's remember that, as part of the cooling cycle, the Compressor is responsible for the cooling agent flow throughout the system, which raises the evaporation pressure to the point of condensation pressure. Next, you can find the types of technology available in the market for compressors, all of which can fit into standard cooling agents. 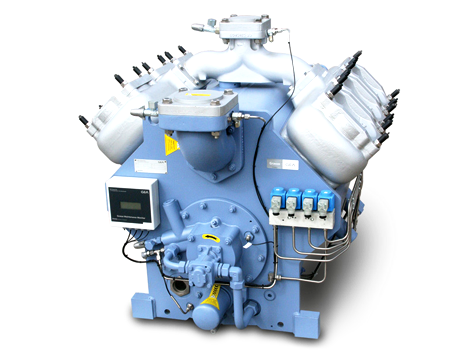 What are the types of cooling Compressors? The most commonly used ones in the market. Their main feature is a spark plug system operating compression pistons, the likes of which resemble an internal combustion engine. 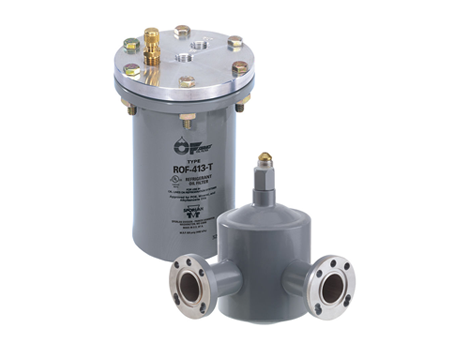 The cooling agent compression is performed by two screw-shaped pointless rotors which fit one another perfectly. The cooling agent is then driven by threads along the axis, building up pressure and exhausting it when reaching both rotors' ends. It compresses the cooling fluid by means of spiral rotors. One of the spirals is fixed, whereas the other one is mobile. As they rotate, the fluid is compressed towards the spirals' core, where it is progressively exhausted. They are fully enclosed and can't be opened for service. If they experience some malfunction, they must be replaced. They can be removed for service or piece replacement. 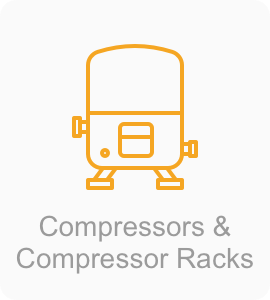 Compressor Racks are automated cooling systems made up of multiple compressors installed simultaneously. These are pieces of equipment mainly used for food preservation purposes, whether meat, fish, fruits, beverages, dairy products, etc. Quick to assemble and easy to service. Can be built with compressors from varying capacities which help balance power depending in the cooling needs. Gea, leading cooling Compressor system brand. 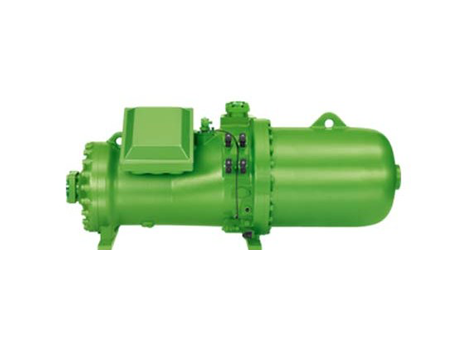 Ever since the 19th century, Gea has been constantly developing a wide array of Compressors for industrial cooling purposes. 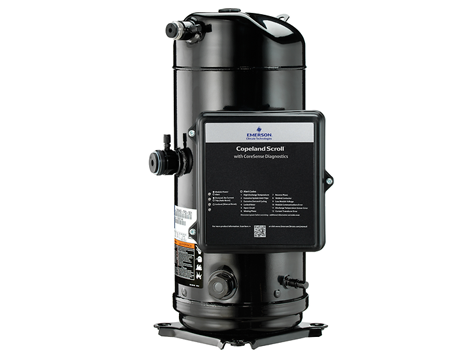 It remains as a leading brand in compressor technology development for both industrial and commercial uses due to its particular focus on preventive-and-corrective-servicing equipment. Now, we find ourselves at a crucial stage of the cooling cycle, one where the cooling agent is going back to the liquid state, getting rid of the heat absorbed by the evaporator. 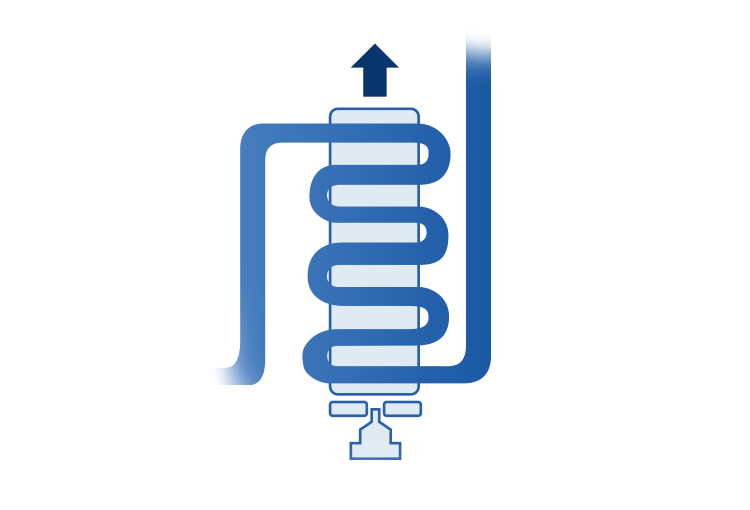 During this stage, the cooling fluid loses heat resulting from the thermal exchange with another fluid, inducing condensation. As the cooling agent returns to its liquid state, it is then pushed by the expansion system, closing the loop and starting over. Types of industrial Condensers broken down by function. The size of a cooling system will determine the capacity and features driving the choice for the most suitable Condensation Unit. The baseline Condensers of a cooling systems can be water, air, or evaporation-based. 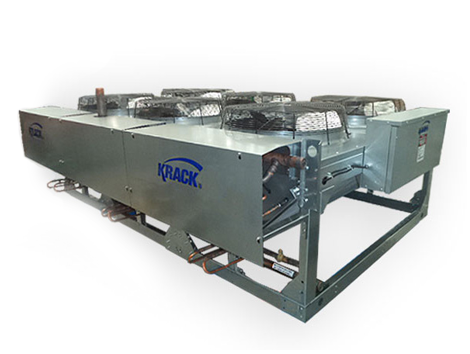 Krack, leading industrial cooling Condenser brand. Krack has enjoyed a history of development, manufacturing, servicing, and selling of heat exchange equipment. Today, it is ranked as one of the top leading companies in the industry. The Krack H Series Condensing Units are ideal for both outer and inner use, as it is fit for outdoor use. In the event it is used within cooling chambers at, say, supermarkets, this series also has a high-resistance option. 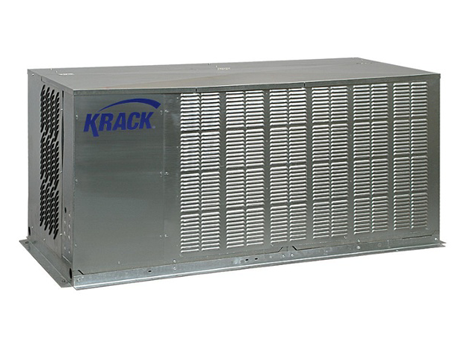 NEED MORE DETAILS ABOUT THE KRACK-SERIES H CONDENSER UNITS? 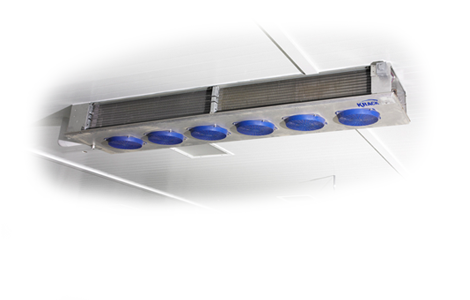 In the spirit of more eco-friendly cooling solutions, Krack underscores its air-cooling Microchannel Condenser. This unit reduces in up to 75% the cooling agent load, and so it is environmentally friendly. 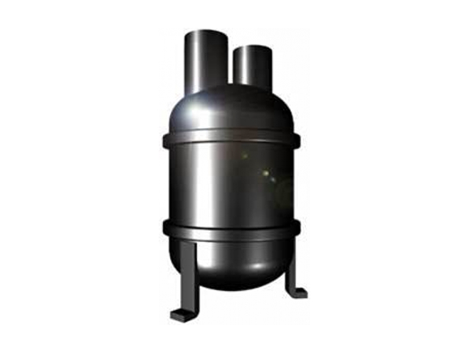 Its weight can reach up to 40% less than that of conventional condensers, and so it is easy to install, and cost-reducing when building it due to its small size. If you want to know more about the units, and the most suitable type for your needs, click on the following link. How to quote a Condenser for your cooling system? 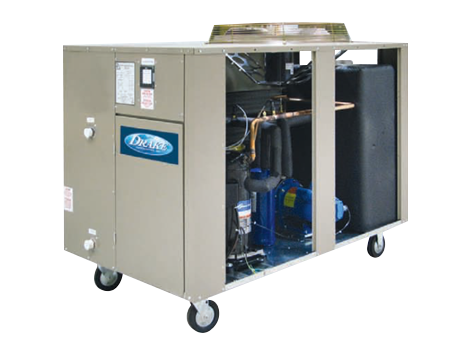 To choose the right Condensing Unit, you must consider the cooling, expansion, and compression power of other systems. Likewise, environmental, geographical, and use factors are also borne in mind. Just like any other type of cooling system, it's up to an expert to make sure the condensation equipment is compatible with the remaining project components. We have mentioned that the expansion system is responsible for pushing the cooling agent into the evaporator. To this end, pressure is applied so that the cooling agent could be turned into small droplets and thus facilitate the evaporation. This is a process similar to what happens with sprayers. 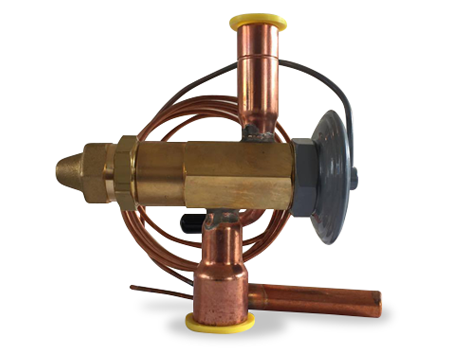 Typically, the system revolves around an Expansion Valve, which is highly accurate and sophistically designed with respect to its pressure mechanism. Such expansion system controls the liquid cooling agent intake, and holds sustained overheating upon its exhaustion. It is responsible for cooling fluid intake control into the direct expansion evaporator, holding up vapor reheating at the outlet. In a similar fashion, the TSV controls reheating, i.e. the difference between the actual cooling agent temperature and the saturation temperature which corresponds to the suction pressure at the sensor light bulb. 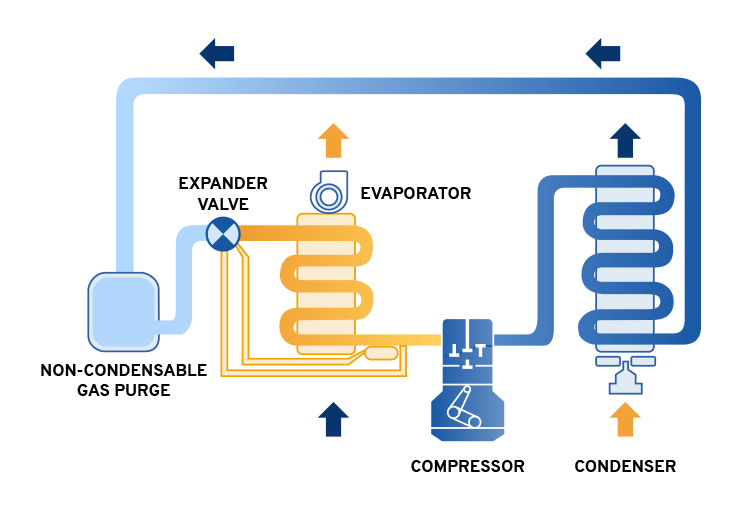 When reheating is handled, the valve leaves operating room along most of the Evaporator's surface, and, at the same time, it prevents the cooling fluid from reentering the Compressor. What is a Capillary Tube? This component leads the pressured cooling agent into the evaporator. 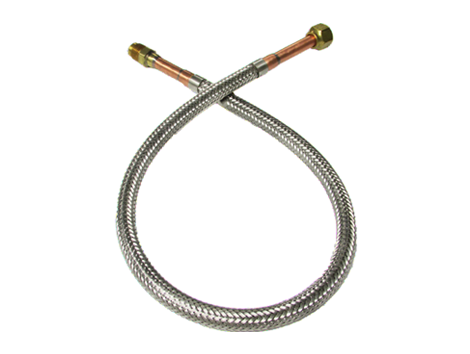 Unlike a Thermostatic Expansion Valve, this is a straightforward system based on a narrow tube through which the cooling agent goes. However, it can't seem to adapt the flow to the thermal load and temperature variations in the environment. This is used in simple cooling equipment. Consiste en una Válvula de Expansión Termostática estándar con un elemento Level Master. La combinación da origen a un control de nivel de líquido muy efectivo con un dispositivo de expansión estándar. 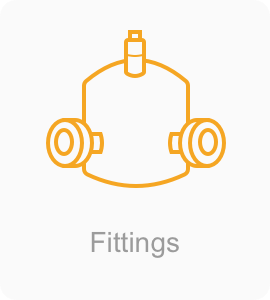 How to quote an Expansion Valve for your cooling system? The thermal load variations at the cooling facility, and the cooling power required. 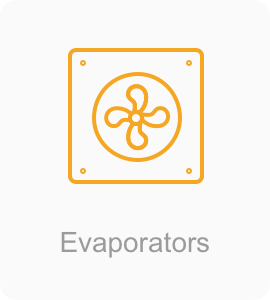 How to pick an Evaporator for an industrial cooling system? The cooling agent is paramount for the choice of system equipment. 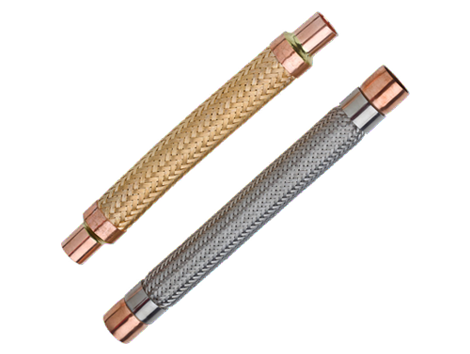 For instance, the evaporators for fluorinated or CO2-based cooling agents can be installed with copper pipelines and aluminum sides. On the other hand, the evaporators which used ammonia as cooling agent must be made up of stainless steel. 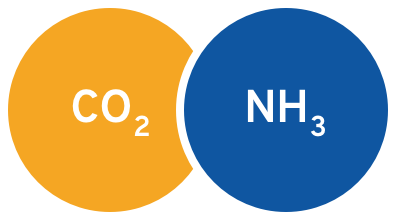 Natural refrigerants: what are they and how do the benefit you? The evaporator needed for the cooling chamber must bear the necessary power and reach to make up for the product as a whole. The reach features, or arrow, are detailed in each evaporation equipment catalogue. Evaporators can be placed in a number of fashions, whether aligned, collated, or sided. The evaporator configuration must be done so that all areas are covered. Important: They are never placed one across the next. The cooling power needed for the equipment is given by the product's thermal load, i.e. the amount of heat to be released from the cooling chamber. In order to know this, the cooling expert must run some calculations using dedicated software. Among the analyzed items are outdoor, indoor, building and product conditions. Coil separation will help level the temperature wanted for product preservation. 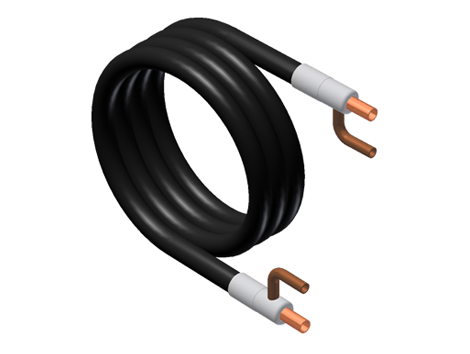 The fewer the coil-per-inch ratio, the lower the temperature. After the cooling needs have been established, the type of Condenser, as well as the number of fans needed and their dimensions, could be chosen. We need to consider the fact that fans with smaller diameters have less power, and so more fans will be needed to reach the cooling power desired. The SGS Krack Evaporator line has been interestingly updated for the cooling industry. In March 2018, the company released the updated improvements which encompass, among other things, lower weights, better materials, and an innovative design. 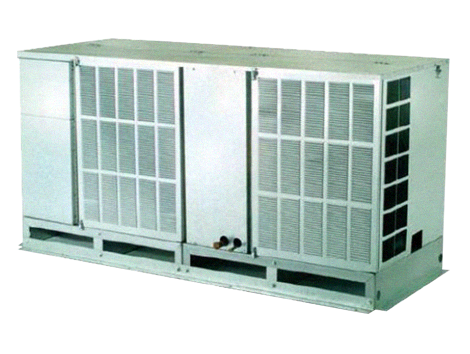 This is a comprehensive cooling device with various applications, the most common of which is AC, but which is also applied to industrial cooling projects. It can also work as a heater when in heat-pump mode. There are two types of chillers: water-cooling and air-cooling chillers. Types of Chillers. How to pick the right one for your cooling system? The water-cooling Chiller has a higher cooling power. It is used for larger-scale applications, like in buildings or within some industries. Because this piece of equipment leaves a smaller environmental footprint, it has a more widespread use. It needs servicing resulting from water wear. It also needs cooling towers, water condensers, and additional equipment to deal with the fluid. It has a wide array of applications, mainly for large buildings or high-volume cooling facilities, especially those in need of simultaneous AC and domestic hot water (DHW), like in hospitals and resort. Despite their smaller size, they still need an engine room or cooling towers. 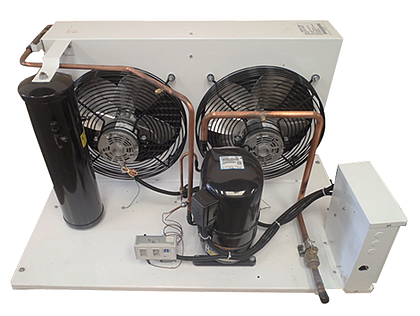 The water-cooling chiller basic infrastructure has the following components: Compressor > Evaporator > Condenser. On the other hand, the air-cooling chiller has a lower cooling capacity, but it is also low maintenance because it is not affected by water adhesion. 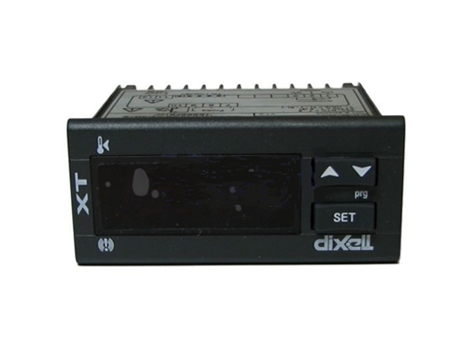 It is mainly used for smaller-scale applications. Typical small-building or straightforward applications. 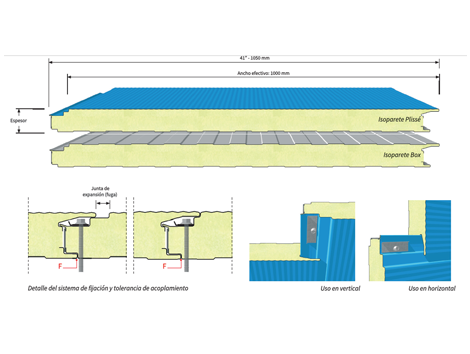 They are installed in the open, such as on rooftops, parking lots, or ground-floor open spaces. Noisier, and unfit for residential or office areas. 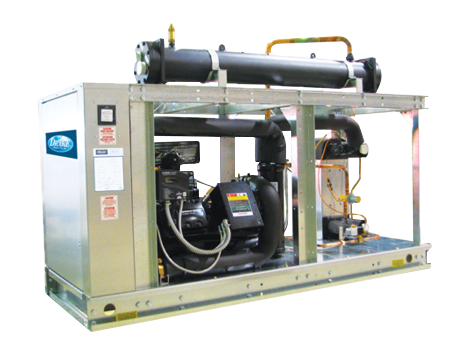 Drake Refrigeration, Inc. is a leading brand when it comes to Chillers and water-and-air-cooling systems since 1972. It features comprehensive lines ranging from 1/4 to 200 hp, and from 1/4 to 60 tons, depending on each system's needs. 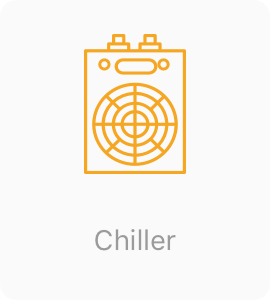 What do you need to quote a Chiller? 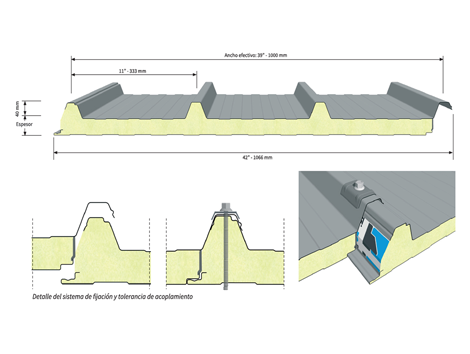 Water flow:Liters per hour, gallons per hours, and cubic meters either per hour or per minute. Water temperature both at the beginning and at the end. Kilowatts (Necessary power to run the equipment). 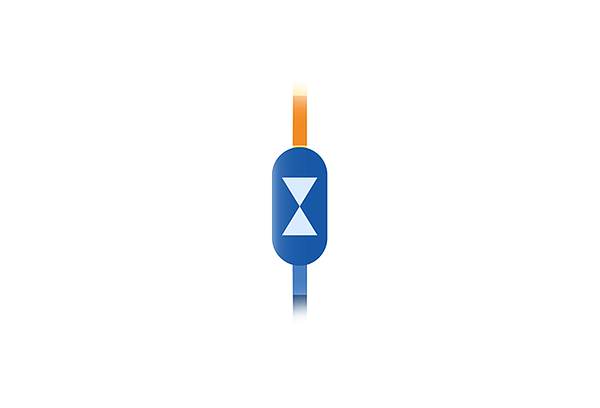 BTUS per hour (heating power needed to raise temperature). 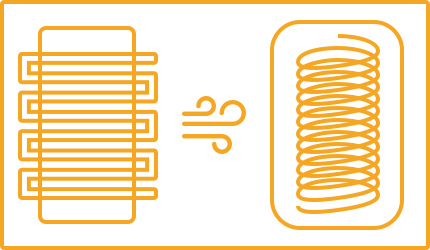 When referring to a Plate Heat Exhanger, we speak about a piece of technology which performs heat exchange or transference between two fluids within a cooling system. This is done by means of aligned metal plates. 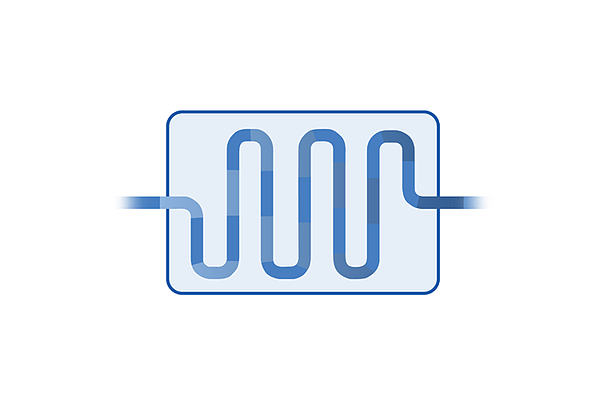 How does a Heat Exchanger work within a cooling system? It condenses a gas into its liquid state using a cold fluid. It heats a cold fluid with a warmer fluid. It reduces a fluid's temperature with a cooler fluid. It helps a fluid reach its boiling point with the help of a warmer fluid. 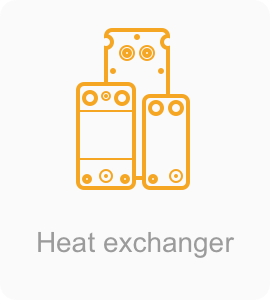 What is the leading Plate Heat Exchanger brand? 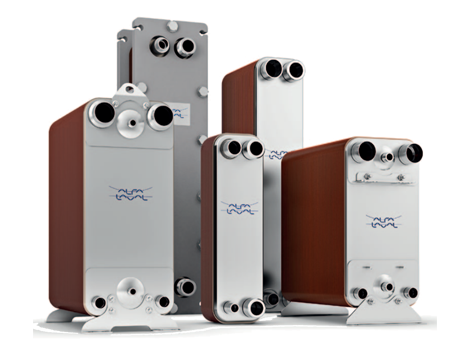 At the beginning of the noughties, Alfa Laval developed and released a 100% stainless-steel heat exchanger called AlfaNova. This Heat Exchanger is a first of its kind as the corrugated plates merge with the help of a groundbreaking technology patented by Alfa Laval: Alfa Fusion. The resulting plates have an even microstructure present in all heat exchangers which provides toughness, cleanliness, and high resistance to corrosion. How to pick and quote a Plate Heat Exchanger design? Fluid properties: those fluids needed for the heat exchange to happen. Acceptable pressure drops: an important piece of information determined by the remaining portions of the cooling system. This information gives us the number of plates our equipment needs. The lower the pressure, the more plates will be needed. Temperature and flow (heater/cooler): this refers to the input and output pressure, and the heating/cooling to be applied. The flows represent the amount of fluid to partake in the heat exchange. Cleaning guidelines: the installation area and the maintenance needs based on size will be considered. To quote a Plate Heat Exchanger, you need to have the actual details, to be further looked into by a cooling expert, so that advice could be given on the type of design and materials. Thermal Insulating Panels are important components when it comes to product preservations in cooling chambers (a.k.a fridge chambers). To design them, we need to take into account the relative humidity, and the thermal load inside a cooling chamber. In this way, the material and panels can be determined so that optimal temperature at our cooling facility can be attained. 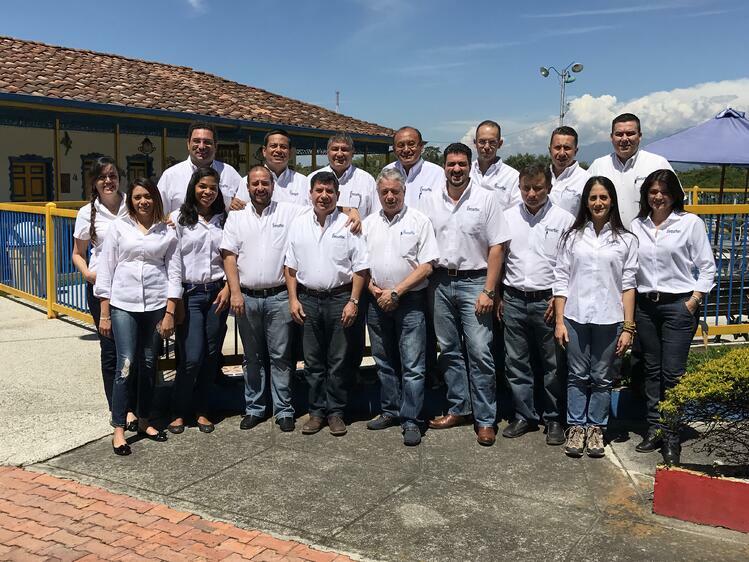 Isocindu is the result of the merge between ISOPAN, a specialized thermal solution company, and CINDU, an organization devoted to thermal insulating material design and marketing. Optional finish type for the outer side. Panel Nominal Thickness: 1”5/8, 2”, 2”1/2, 3”, 4”. Double-coated metal panel with stiff PUR foam isolation for covers or roofs. Less than 7% slope. Ideal for industrial, commercial and agro-zootechnical facilities. Panel nominal thickness: 1”, 1”1/2, 2”, 2”1/2, 3”, 4”. How to quote Insulating Panels for cooling chambers? A chamber's dimensions are paramount to determine the number of panels and their tailormade construction. PUR is a material which has been proven to be highly efficient when it comes to cooling projects. But, how is an Insulating Panel thickness determined? It all boils down to the cooling needs, the environmental temperature at the facility, and the heat allowed into the place where the cooling chamber is. Taking all the project's cooling features into account, the thermal needs to preserve the panels inside the cooling chamber are determined. It's important to consider that there will always be thermal loses inside the chambers as there will always be products being moved in and out by the staff, whose body heat also plays a role. 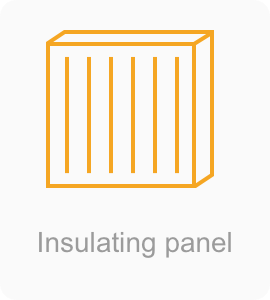 If you have any questions about how to quote the most suitable insulation panel for your cooling project, please check it out with our dedicated engineers. 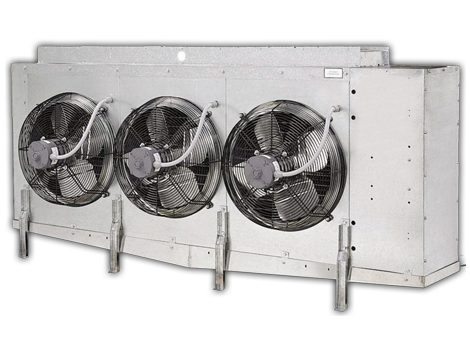 As part of the 4 main pieces of equipment playing a role in the cooling cycle, there is additional equipment which helps reinforce or protect its operation. These are one of the main accessories, which may vary depending on a particular system model, shape and capacity. Let's get to know them. 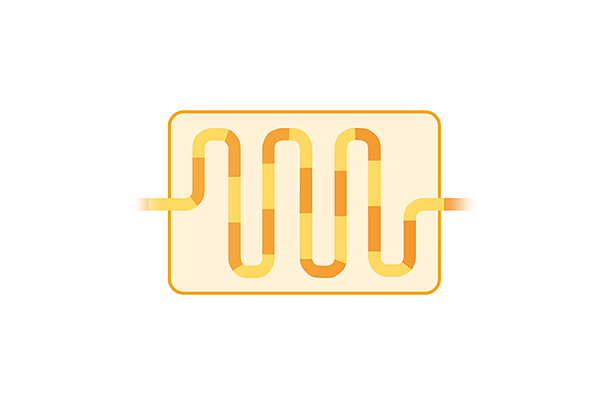 Coils: They help release cooling vapor temperature overloads. Heat Exchanger: as we went over in the plate heat exchanger section, this equipment plays a number of roles, among which are to help the cooling agent condensation process. Vibration Insulators: They are designed to be installed at the suction line, at the AC exhaust, and at the cooling system, so that the compressor vibration resulting from the system pipeline could be softened. 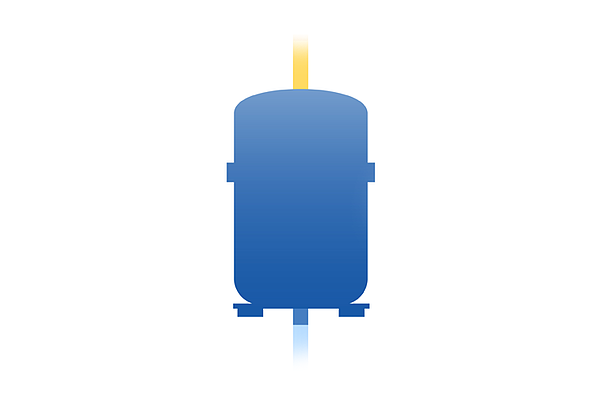 Suction accumulator: It protects the compressor against fluid shocks and prevents the cooling agent or oil from reentering. Cooling oil control- Parker Industrial. Removable Equipment: They are designed to facilitate servicing the compressor without having to unplug the AC or the cooling system. Cooling oil control: They ensure a simple yet safe oil distribution along the cooling system. They have lub-controlling sensors which prevent any breakdowns at the compressor. 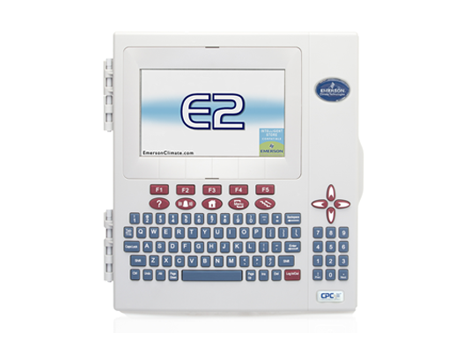 E2 Controller: Designed to provide full building and cooling system control, including compressors, condensers, walk-ins, HVAC units and lighting. 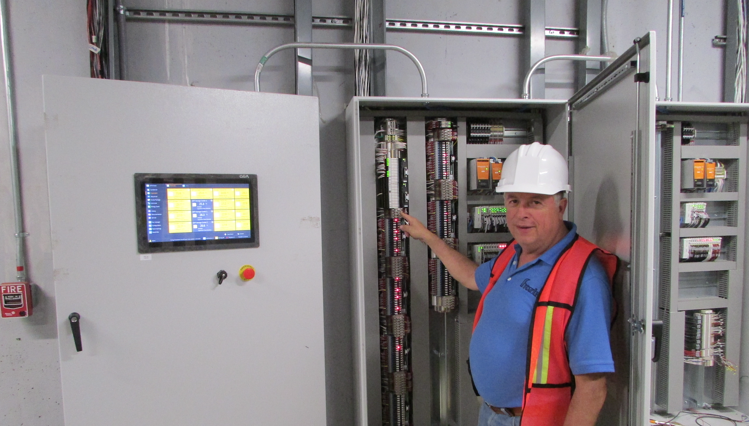 This controller improves the equipment's performance, reducing energy consumption and servicing costs. Parametric controllers: The various needs in the cooling and AC worlds are met with a comprehensive series of parametric controllers with innovative designs and user-friendly interfaces. Humidity and fluid indicators: show the liquid cooling agent status so that oil levels are timely checked. We need to consider the potential installation mistakes that can take place in an industrial or a commercial cooling system. We insist that the project have the most dedicated assistance. The climate of the particular region where a project is to take place. Solar radiation at the project's site. The site's orientation, latitude and altitude. Indoor spaces, humidity,temperature, sunlight and ventilation. Nature of the activities at the building. Finishes such as facades, soils, roofs, etc. Natural ventilation, such as windows, skylights, doors, and so on. Froztec engineers installing an industrial cooling system. The appropriate welding must be available. The pipelines must suit the cooling agents and other involved fluids to prevent corrosion or clogging. The equipment must be well fixed so that vibrations which can lead to fractures can be prevented. The panels or insulating material must be correctly put in place so that any leaks can be avoided. The equipment must be placed at reasonable distances with respect to doors, windows, and so on. Unfortunately, operational mistakes are the most common ones, and they are the result of the lack of appropriate training regarding cooling equipment operation. Neglecting indicators and the lack of budget approval for preventive maintenances are at the root of most operational issues. Whoever oversees budget approval for system supervision and management must bear in mind the key indicators for investment decision making. An important challenge for a contractor consists of raising awareness in the end user about the importance of surveillance, equipment maintenance, and appropriate components, even if it calls for additional investment. Maintenance plays a role in the production process, both quality, management, and finance-wise. This is due to the need to stop the cooling cycle in order for equipment to be serviced. A maintenance plan must be though around optimization goals, more capacity, and fewer equipment breakdowns. How to optimize costs in a CO2-cooling-based system? As the name suggests, it is a type of maintenance performed after a malfunction arises. The steps to be taken must be carried out by a professional so the equipment can fully recover. To reduce the number of malfunctions, a predictive plan could be created. A predictive maintenance plan helps us to detect any future malfunctions likely to result in time and financial loses. A comprehensive concept which outlines a process philosophy as applied to an industry so that the main malfunctions likely to result in loses and optimal equipment function are addressed. 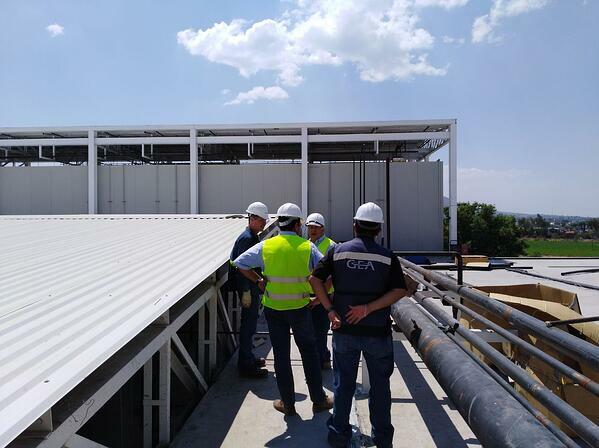 Although every industry is different, the TPM as applied in a cooling system addresses such malfunctions by implementing processes, training sessions, staff participation at the industrial or commercial cooling facility. At the beginning of this walk through the industrial and commercial cooling world, we spoke about the 4 fundamental processes which make up the cooling cycle. 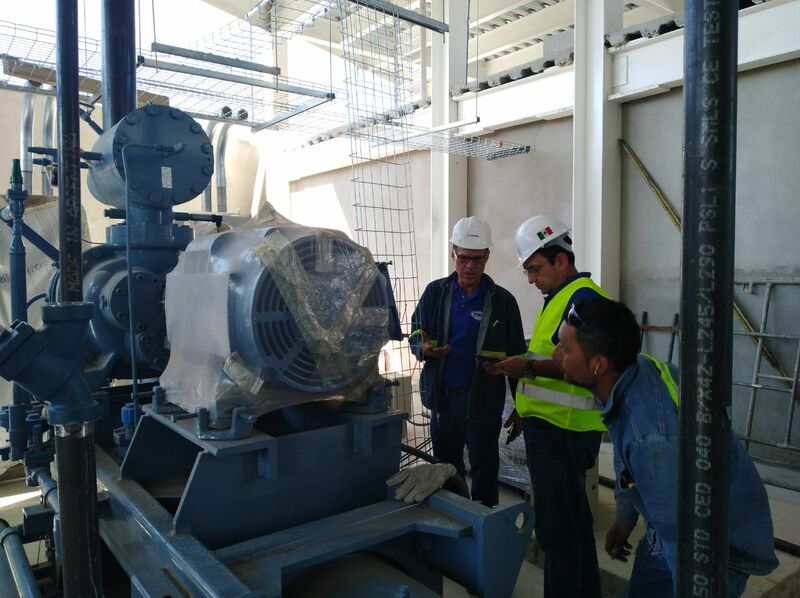 In order for our goals to be accomplished by the cycle, we need to resort to diverse equipment with features, choosing the most suitable ones based on dedicated engineering and analysis. Compressors helped by various pieces of technology and power range. 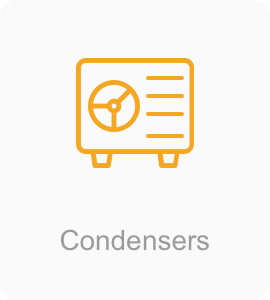 Condensers, whether remote ones or clustered into cooling units. 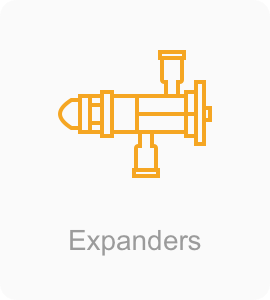 Expansion systems whose accuracy and power vary from industry to industry. Evaporators which are in charge of getting rid of the environmental heat. Pieces of equipment tasked with a number of goals aiming at closing the cooling loop, such as chillers. Tech experts can help you make up your mind about the most suitable equipment according to each project's purpose and budget. There's no such thing as a difficult or impossible project. At Froztec, we have implemented cooling systems for all kinds of industries, from crafted beer to a chicken-processing facility. Complexity is figured out by experience, analysis and know-how about the technology we use for the purpose we need it for. We suggest you request dedicated advice for your cooling project regardless of your location, as we have experts all over Latin America. Get to know more about our history. 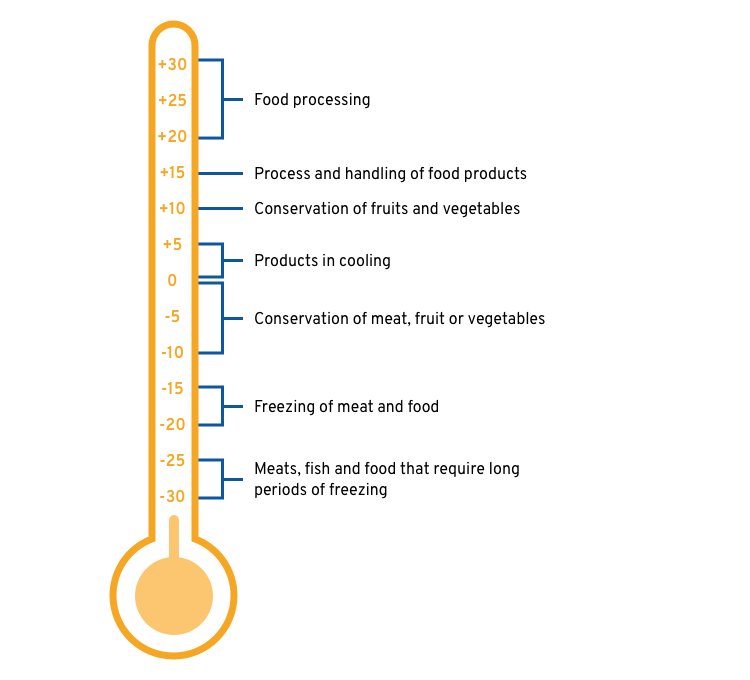 Subscribe to our blog "Think cold", where we address a number of bullet points more in depth so that you gain a greater understanding of our main equipment and processes as regards the current situation of the cooling industry. You can also reach us for tailored advice if you so prefer. We hope to be helpful in getting what you need for your cooling project.